It’s everywhere: identity theft. Like bacteria, it will always be around us. You can be a victim and not even know it — until you check your credit report and see disaster. The thief gets info such as your name, address and Social Security number, and it’s all gravy for him from there. With enough information on you or your clients, which might include various numerical identifiers, the crook could create false documentation such as a Social Security card or even a birth certificate. They don’t even need all of this to get a loan or new credit card in your name. But don’t worry, they’ll make all the payments on the new loan and credit card — yeah, right. They can get checks made and then go wild with them. They might sell drugs under your name or pretend they’re you after being pulled over for speeding or even something worse. Then your driver’s license gets suspended, even though it was the thief who did it. Wi-Fi needs to be secure in the office and in public. Use only secure encrypted Wi-Fi, which means it requires a network key or in public you use a virtual private network (VPN) that encrypts all your data on unsecured Wi-Fi. All your devices need to be updated with the latest version of your operating system, browser, antivirus, antispyware and a firewall. Password management is key. No two accounts should have the same password. Use uppercase, lowercase and numbers. Invest in a password manager. Google it. 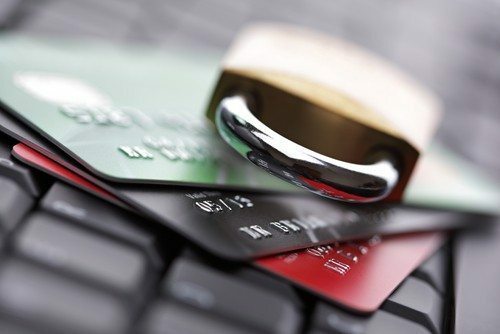 Think of all the people/companies who know your credit card number and the three-digit code on the back, merchants require this information when you shop online or use a credit card over the phone. Think of all the people who know your bank account information (banking personnel). So don’t worry about credit card fraud. Do something about it. Check your statements online frequently. Sign up for “alerts/notifications” via your bank’s/credit card company’s website to receive texts/emails for every transaction. Download your bank’s/card company’s smartphone app, which will allow checking statements and alerts. ID theft can occur with your medical records so that the thief could get free medical care. Think of all the medical clinic employees who have access to your medical information. You just never know who, among all these worker bees, is a thief. As a real estate professional, your name and phone number are out there in addition to all these ways above. How many business cards have you freely given out over the past 12 months? How many people have seen ads featuring your face, name, phone number and email address? Check your credit report twice a year from the three major reporting agencies, as one might have suspicious information that the other two don’t show. Go to ssa.gov to check your records to make sure all looks well. You don’t want to see that there are companies listed in your records where you never worked. If your mailbox can be opened by anyone, consider getting a P.O. box for all important mail. Or get a locking mailbox. Review your credit card and banking statements carefully every month. If you’re expecting a new credit card and it hasn’t yet arrived, follow up on this. Immediately sign all new cards. Signing “See ID” does nothing to secure you. Some say don’t give out your Social Security number unless the law requires you to, such as for a job application or applying for a health care plan. But you might be refused services otherwise, and there are clearly many other ways that an identity can be stolen. Be safe. Robert Siciliano is CEO of IDTheftSecurity.com and a personal security and identity theft expert.